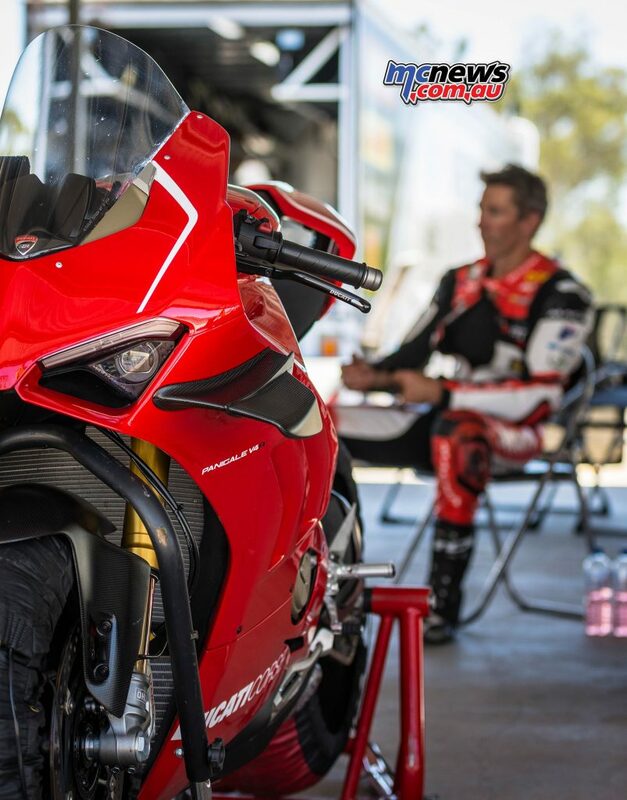 Troy Bayliss rode the Ducati Panigale V4R for the first time during a DesmoSport Ducati test at Morgan Park this week. 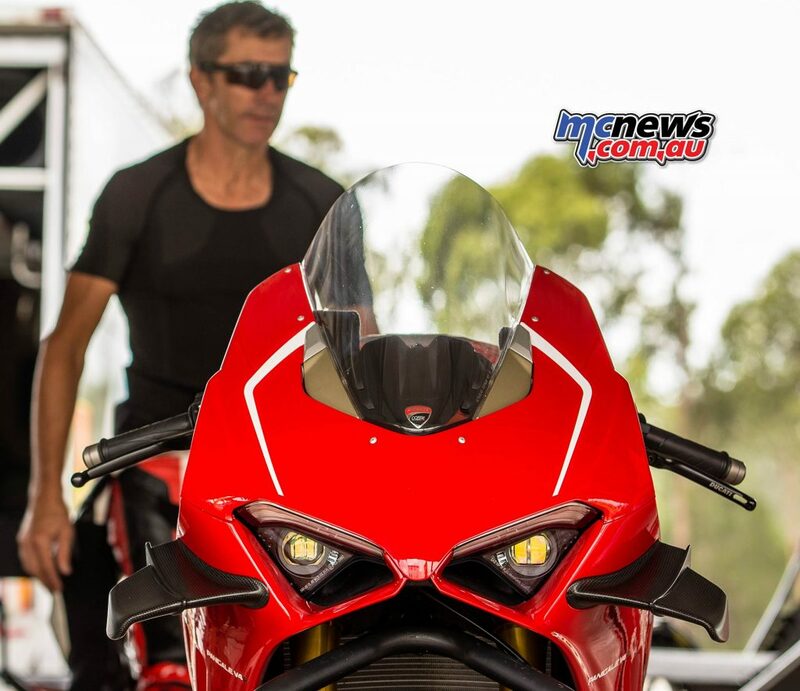 This was very much a first initial shakedown for the limited edition and somewhat bespoke Panigale V4R. 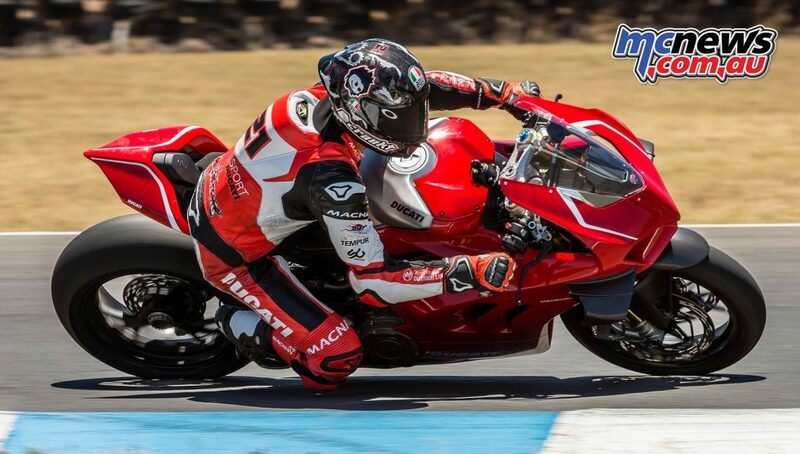 Unlike the other 1,103cc Panigale V4 models, the V4R displaces a short-stroke 998 cc in order to meet World Superbike capacity limitations. 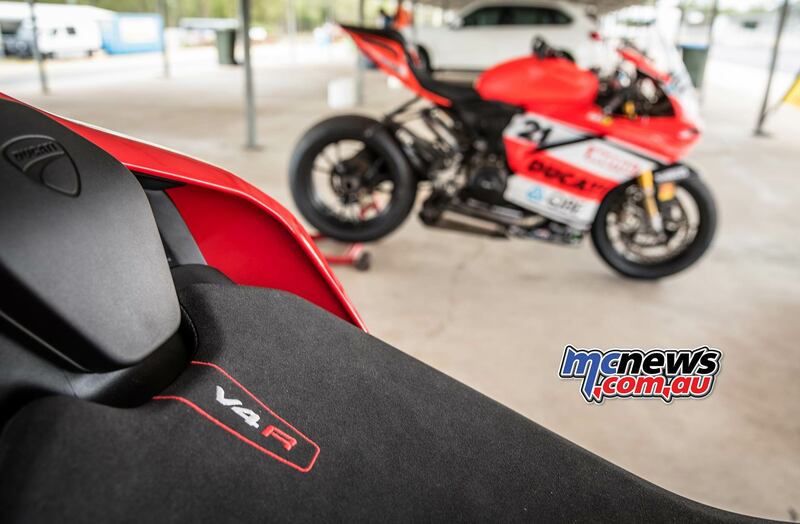 The V4R has been built with winning back the World Superbike Championship crown for Ducati as first and foremost in its design and mission statement. 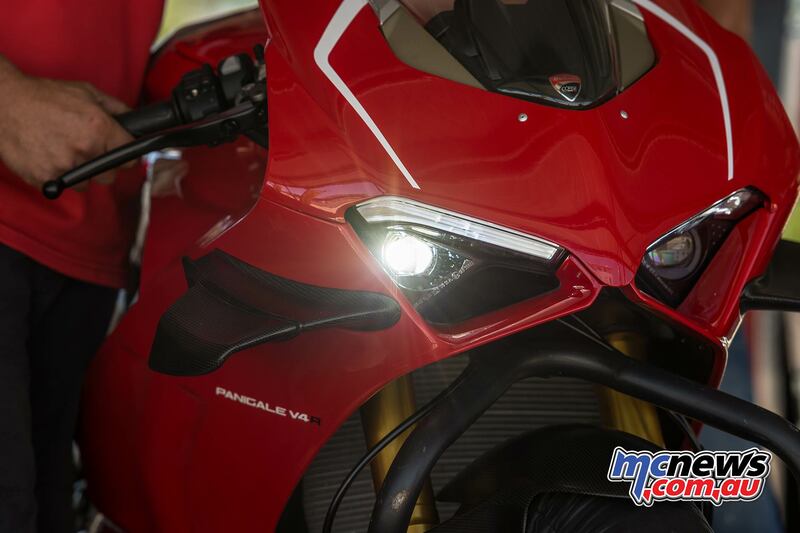 The Paniglae V4R spins to 16,500 rpm and makes 234 horsepower with the kit exhaust. 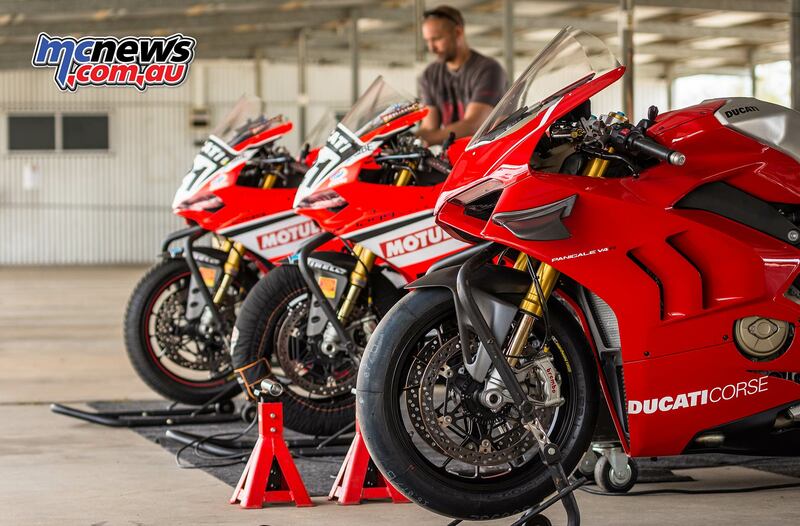 DesmoSport Ducati also hope that will translate to ASBK Championship winning performance in the hands of Troy Bayliss. With only one V4R to play with, no spares, and not even any race bodywork, the team will be up against the clock in order to get the machine on to the grid at the ASBK season opener late next month at Phillip Island. 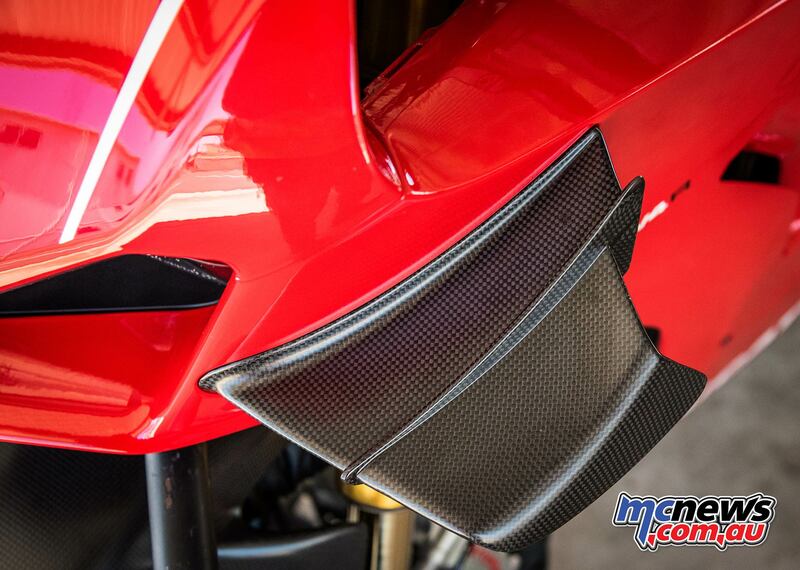 The team already know they have a well-sorted and race winning package in the Ducati Panigale R Final Edition, and until they have the necessary spares on hand, are in no great rush to have the new V4R on the grid for the season opener. 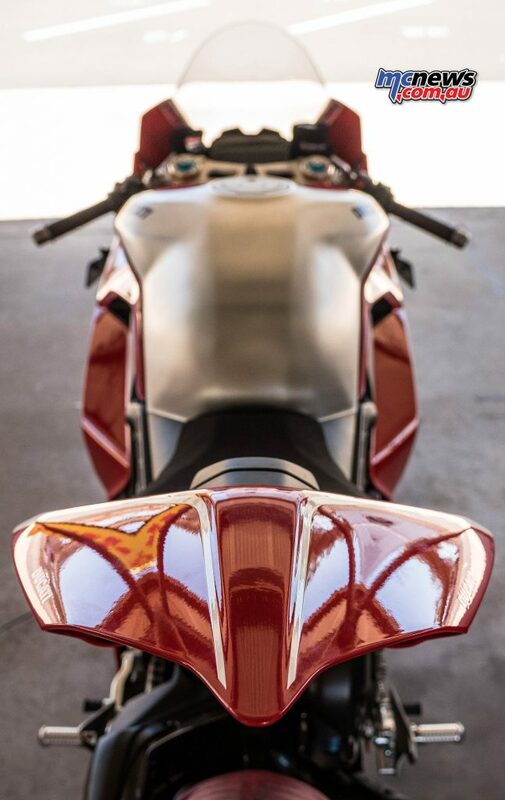 The team tested a range of new Pirelli rubber this week at Morgan Park, and while they concentrated on the big twin, TB also did turn a few exploratory laps on the new V4R. 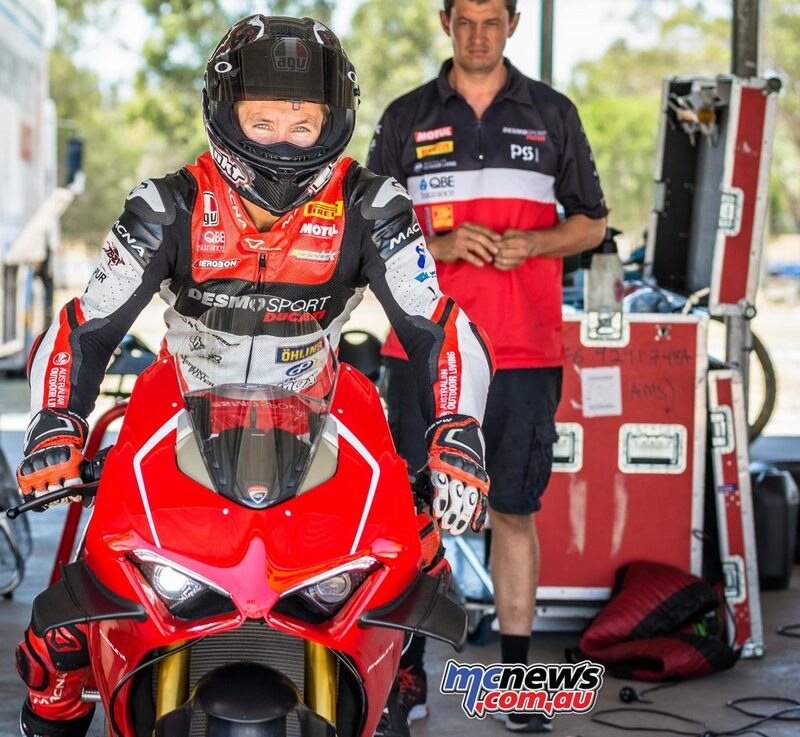 It was enough to highlight the eventual race potential of the new V4R, but they will need to do a number of long runs on the machine before they will be ready to put it on an ASBK grid. 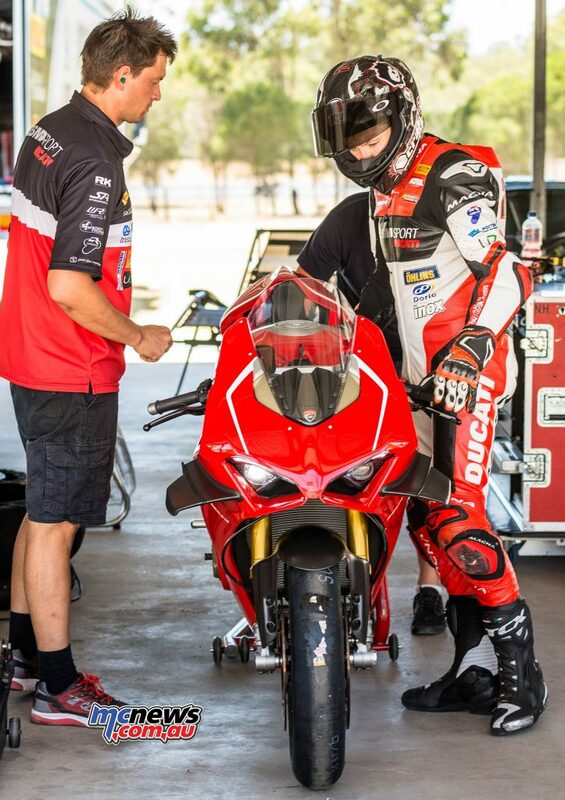 More testing is planned ahead of round one as they evaluate whether they can get in a position to start the season on the 16,500rpm V4R. 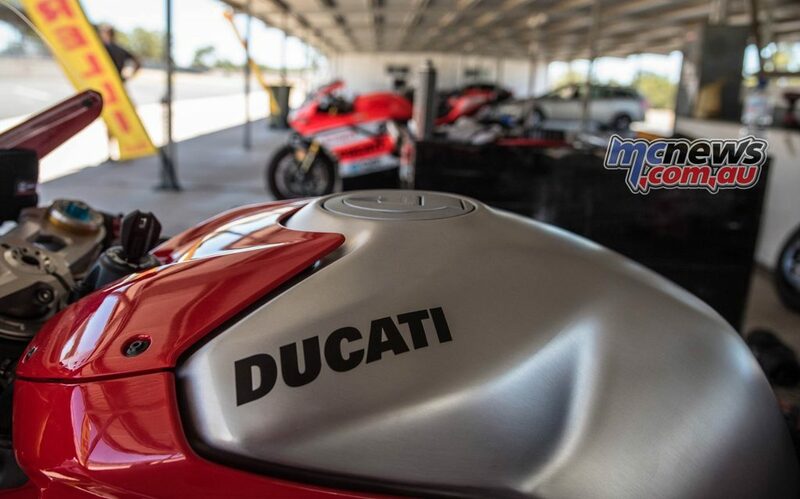 Or whether it will have to wait until round two at Wakefield Park, or perhaps it might debut in South Australia at The Bend. 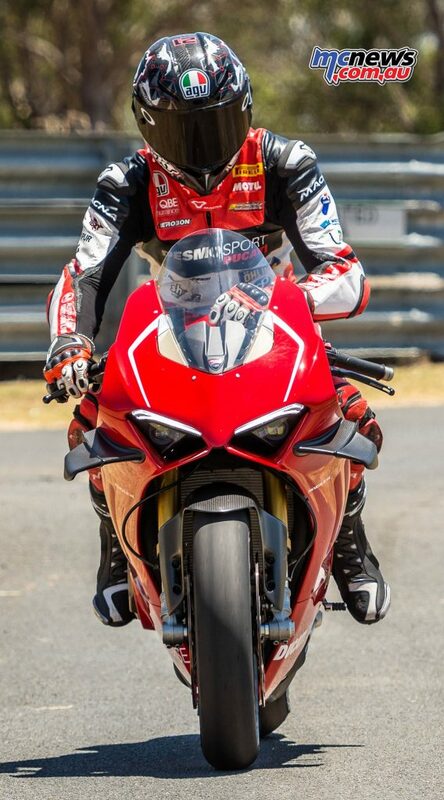 Even if fans might not get to see TB race the machine at the beginning of the season, the V4R will still be in the pits and will no doubt get fired up from time to time so you can hear the Termignoni roar. Next articleThree days of non-stop historic motorcycle road racing at P.I.